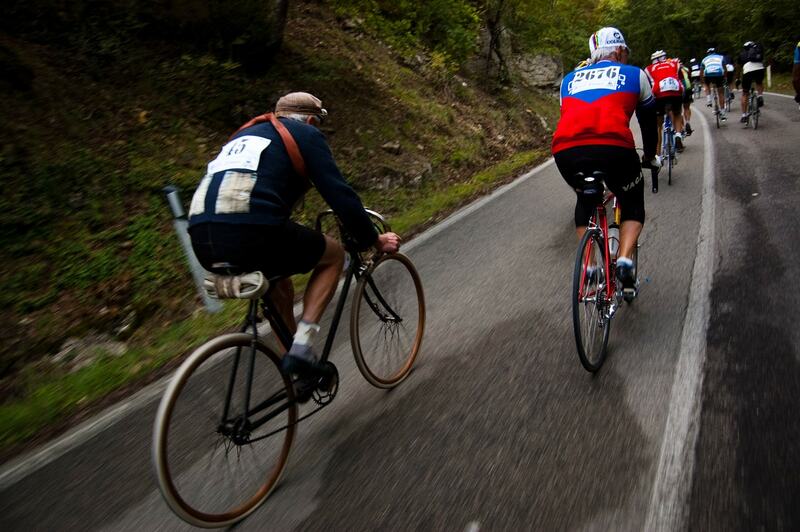 Live the experience of L’Eroica with Anima Toscana, official tour operator of the event. L'EROICA born for the love of the cycling that formed a good part of the history and literature of Italy. The idea was to seek out the authentic roots of this fantastic sport, with its great, popular heart, and rediscover the beauty of fatigue and the thrill of conquest. These romantic concepts led to the idea of L’Eroica, an event that in 1997 involved the participation of only 92 “hunters of feelings and emotions”, as the creator Giancarlo Brocci defines them, but now bring to Gaiole in Chianti each first sunday of October more then 7000 participants from all over the world. L’Eroica it's also a foundation for the protection and preservation of the last gravel roads in Tuscany. Choosing one of the packages with hotel and guaranteed registration you can ensure your participation to the 2019 edition of L’Eroica and ejoy all the comfort: hotel selected with care, guaranteed registration, delivery of the race package in hotel and assistance of our staff in Gaiole during your stay. If you want to travel without your own bike, Anima Toscana proposes the vintage bike rental that you’ll pick up in Gaiole the days before the event. This itinerary will be a special combination of the classic Heart of Tuscany enriched by some spectacular rides, cooking lesson to discover the secret of Tuscan cuisine, taste the fantastic tuscan dishes and world famous wines like Brunello di Montalcino and Chianti with final participation to L’Eroica 2019. Live the experience of L'Eroica with Anima Toscana, official tour operator of the Eroica Travel-Italy, and ensure your participation to the 2019 edition of L'Eroica. Choosing one of the packages with guaranteed registration and hotel that Anima Toscana thought for every needs, you can ensure your participation to the 2019 edition of L’Eroica enjoying your stay in one of the most beautiful place in the world. The days before the event you can also participate in some events dedicated to the world of cycling or in one of the activities organized by Anima Toscana, like guided tour, wine tour or daily bike tour. Buying one of the travel package here below you will be automatically register to L’Eroica 2019 and you don’t need to register through L’Eroica web site. Our packages includes also the service of delivery race package and race number to your accommodation, with this service you can collect the race number at the check-in into the hotel selected. Anima Toscana will guarantee a 10% discount for the member of the Ciclo Club Eroica. SEND AN E-MAIL to receive an offer.